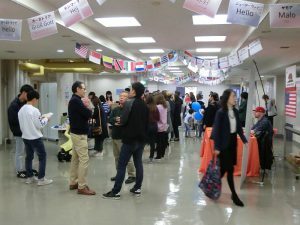 The ASEAN-Japan Centre participated in Cultural Exchange Festival at Yoyogi campus, Tokai University during the university festival, “Kengakusai”. 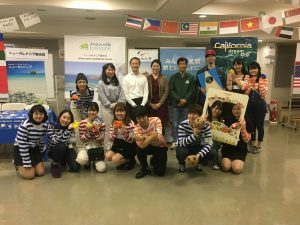 It was the first time for JOTC (Japan Outbound Tourism Council) to join the university festival as one of their activities to promote overseas travel to a younger generation. The AJC distributed tourism brochures and introduced sports from ASEAN Member States such as Da Cau of Vietnam and Chinlone of Myanmar at the sports experience area in the workshop. Also, the AJC provided a handcraft-making experience to visitors at handcraft area, where they enjoyed making crafts with stamps of ASEAN icons. 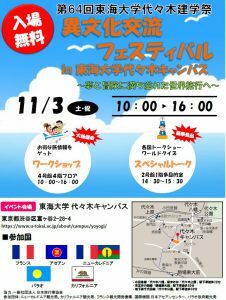 At the “Special Talk Time”, AJC presented tourism destinations, insta-worthy spots, and local food in the ASEAN Member States. The AJC will continue to promote tourism in the ASEAN Member States targeting people of a younger generation.